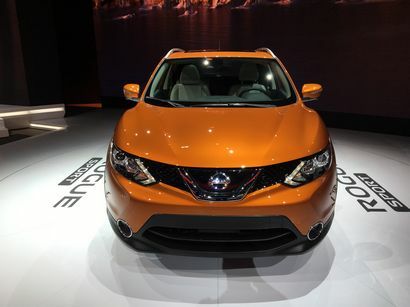 New-for-North-America Nissan subcompact crossover will reach dealers later this spring. 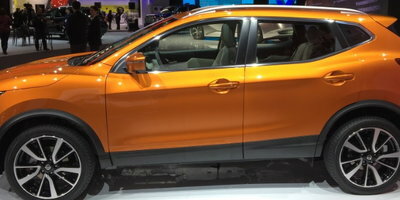 First unveiled in concept form at the 2004 Geneva Motor Show, the Nissan Qashqai has been on sale in Europe and other world markets since 2006. 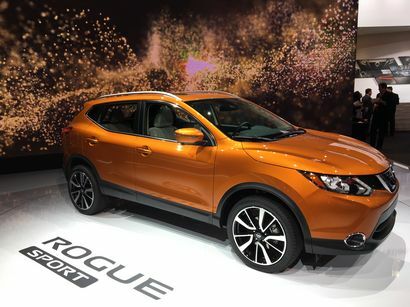 Later this spring, it will finally appear in the North American market as the Rogue Sport – although, for reasons known only to Nissan, in Canada it will still be called the Qashqai. 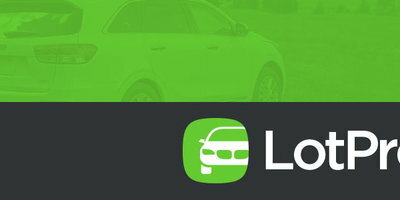 It will also battle for sales in an increasingly-crowded market segment that now includes such stalwarts as the Honda HR-V, Toyota C-HR, Jeep Renegade, and Mazda CX-3. 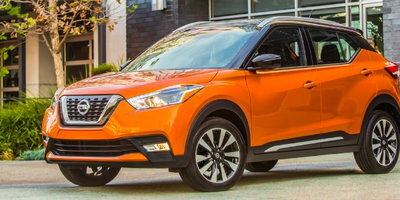 Based on the same architecture as the larger Nissan Rogue, the foot-shorter Rogue Sport also shares the same mechanicals as its platform-mate as well as the Rogue's 141 horsepower 2.0-liter four-cylinder engine and CVT transmission. Front-wheel-drive will be standard, while all-wheel-drive will be offered as an option. 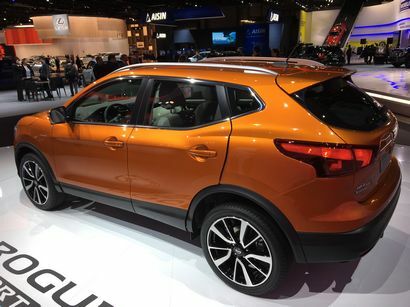 In addition to being shorter overall, the Rogue Sport's wheelbase is also 2.3 inches shorter than its larger sibling. Cargo space behind the back seat is 23 cubic feet, which grows to 61 cubic feet with the second row folded (that compares to 32 cubic feet and 70 cubic feet, respectively, for the Rogue). 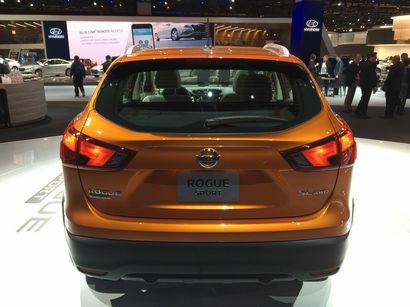 For 2017, the Rogue Sport will be offered in three trim levels: base S, mid-level SV, and top-trim SL. Standard features on the S include Nissan's signature boomerang LED taillights, a rear spoiler, and body-color outside mirrors. 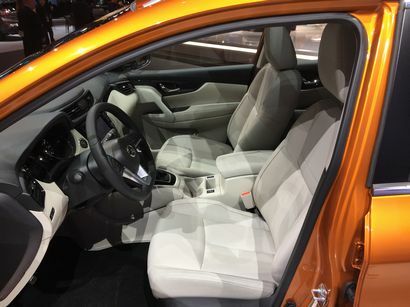 Inside, the base model also comes with a proximity key with push-button start, air conditioning, satellite radio, Bluetooth, a rear view camera, and a USB port. Stepping up to the SV gets you 17-inch alloy wheels, dual-zone automatic climate control, and automatic headlights. Check the box next to the SL trim adds leather seating (heated in front), a heated steering wheel, a 360-degree-view camera, and fog lights. 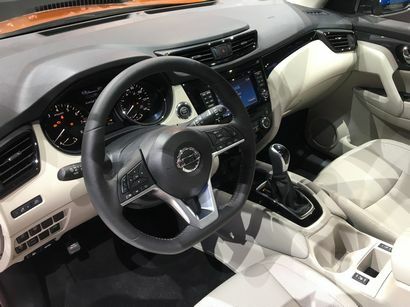 In addition to all that, there will be a slew of optional, advanced safety features including blind spot detection, rear cross-traffic alert; automatic emergency braking with pedestrian detection, intelligent cruise control, lane departure warning, and lane departure prevention systems. 2017 Rogue Sport prices, per the usual drill, will be released closer to its on-sale date, which Nissan has announced will be sometime this spring.